Are you looking for cute do it yourself Outdoor Christmas Decorations? 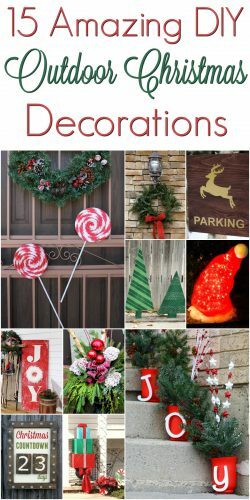 With Christmas right around the corner we put together this list of decorations you can make yourself to bring the holiday cheer into your home each year. Joy Outdoor Christmas Display – Frugal Mom Eh! Which decoration are you most excited to create?